With our smartphones, tablets, laptops and other devices, we have all become accustomed to rechargeability. Many of our electronic devices can be plugged in and charged, ready to be used the next day. However, when it comes to hearing aids, most people still use non-rechargeable batteries that need to be changed every week or two, or even more often, depending on the size. 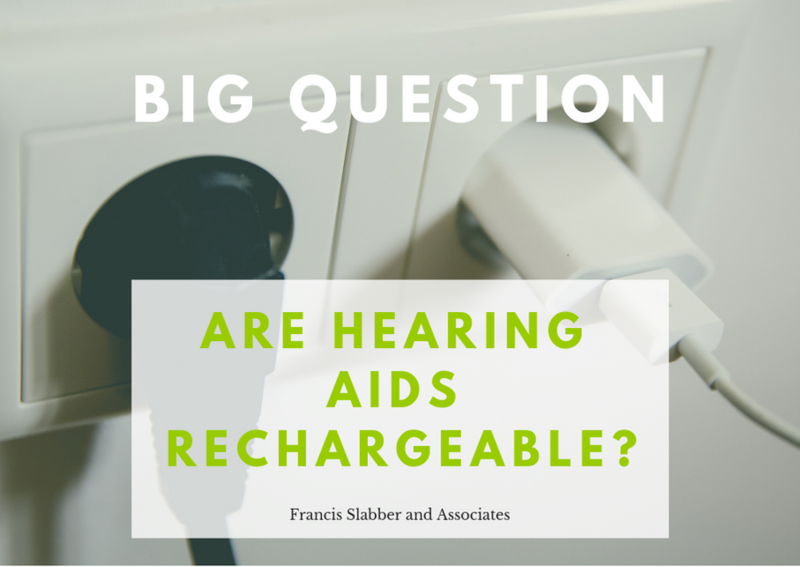 Many people ask us whether hearing aids are rechargeable, and in the last few years, it’s become more common for us to say yes! However, there are positives and negatives when it comes to rechargeable hearing aids, and different types of rechargeable batteries that work in different ways. The two main types of rechargeable hearing aids on the market at the moment are Lithium Ion batteries, and a new type of rechargeable technology, called Z-power, or Silver Zinc batteries. Lithium Ion is the same type of rechargeable battery that is built into your smartphone- it’s the gold standard for rechargeable batteries at the moment. It’s built into the hearing aids and fully encased in the body of the aid- you cannot remove it at home. This means that the hearing aid is more protected against moisture and dust- there is one less week spot for these things to enter the casing. Lithium Ion is a well tested and reliable type of rechargeable battery, and we have been so happy to see more and more hearing aid suppliers utilize it as their chosen rechargeable method. Z-power batteries look a lot like normal hearing aid batteries- you can remove them from the hearing aid and replace them with normal batteries if you wish to. This means they are a little more flexible if you are in a place where you cannot charge your batteries. However, they only last about 6 months before they need to be replaced, and they cost a lot more than normal Zinc Air batteries, so the cost is high. These batteries were utilised by a number of hearing aid suppliers about a year ago, but some of these suppliers have since switched over to Lithium Ion. Rechargeable options are great for people who cannot use normal batteries because of physical limitations or eyesight restrictions. They are also a bit more environmentally friendly, as you aren’t disposing of a single use battery every week or so, and many people find them more convenient than regularly purchasing batteries. Right now rechargeable is the more expensive option, adding on average about 20% extra to the cost of the hearing aids upfront, and ongoing costs if you use the Z-power technology. For this reason, it’s vital to ask your audiologist to explain the different battery options to you before you decide which hearing aids to purchase, and to discuss which kinds of rechargeable batteries more reliable and would work best for your hearing and lifestyle needs. For more information about rechargeable hearing aids, or to discuss the options for your hearing, contact us or comment below.